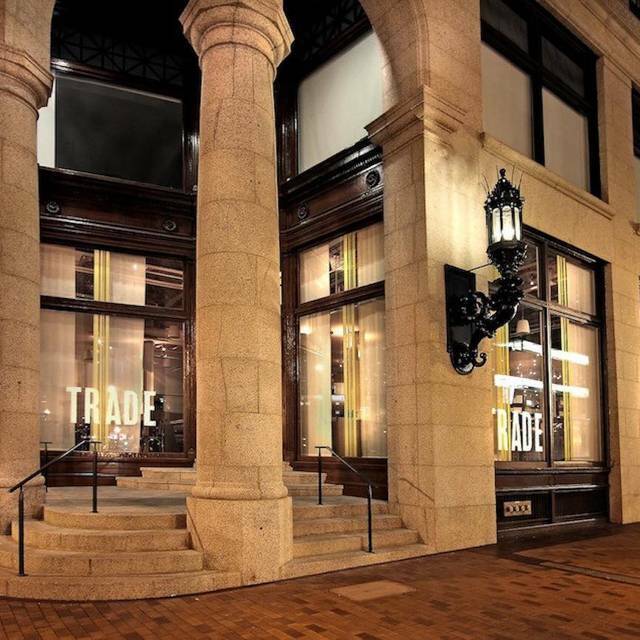 You must make reservations at least 5 minutes in advance of the time at Trade. Parking lot entrance is located at 280 Congress St. Enjoy $1 Oysters Monday-Friday 3pm-6pm. Service was great. Lots of energy in the dining room. Food was good overall. Only underwhelming thing were the lamb dumplings. Otherwise, no complaints and would go again. Wonderful freshening up of the menu - the food was absolutely superb as was the service. Excellent service, the food was very special and delicious. Can absolutely recommend the small menu as its the chef's favorites and we wouldn't have chosen most of these wonderful dishes if we had chosen a la cart. We were having a welcome dinner for a good friend of ours who came from Ottawa to run the Boston Marathon (it’s his second in Boston but has run 11 other marathons). We shared some small plates that are new menu items...the grilled focaccia with burrata, pesto, peas is amazing as is the pork belly! We also got the cauliflower and chicken meatballs which are classic yummy dishes The berry and beet salad and eggplant Parm flatbread are winners! All thought the lasagne was the best they ever had..many vertical thin layers of pasta with the perfect red sauce and bechamel. Service was excellent throughout the meal. Great drinks and love the Nebbiolo wine. Alas, we were too full to order dessert..next time! 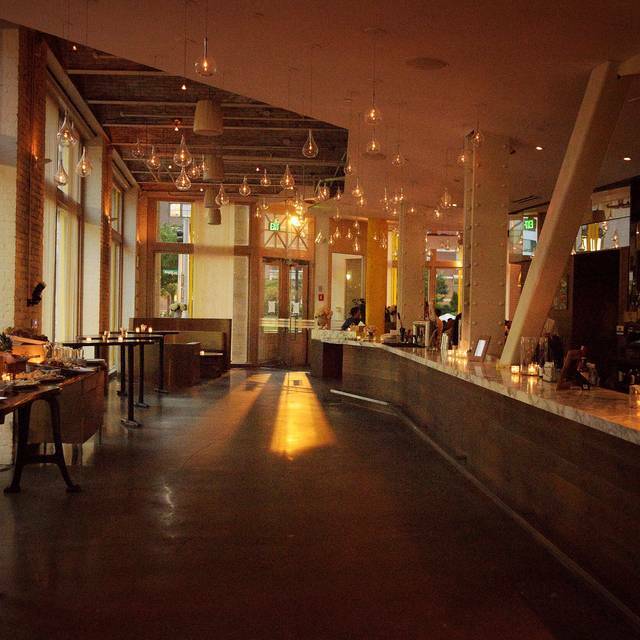 Trendy urban eatery with lots of small plates to choose from. Relatively pricey but overall worth it. The service was excellent and there was ample choice of dishes and wines. Went for a weekday lunch with 3 colleagues. Had eggplant from the 'salad' section of the menu with chicken. Eggplant was well prepared and seasoned, but chicken was overdone, dry and underseasoned. Colleague had kale -date salad; kale was tough but rest of salad was pleasant. dining room was so noisy that I had trouble hearing across a 4-top table. Service was discreet and professional. Overall, food was acceptable but not outstanding. Dinner menu much better than lunch menu. Went for lunch after having had a nice dinner experience, but found the lunch menu unappealing. I had the falafel fold over. The ratio of falafel to flatbread was disproportionate more bread than falafel. It also had a tomato spread which didn’t blend well. Disappointed. The service was outstanding. From the hosts to our waitress everyone was very charming. Our appetizers were delicious. Drinks were ok. My nieces fish dish had too much oil and my vegetarian dish was soooo spicy that I couldn’t eat it. I would still recommend Trade for the overall experience. Our party arrived at 7:10 for a 7:30 reservation and drinks at the bar first. We were seated promptly with menus and drink orders at 7:30. Appetizer and food order was taken a few minutes to 8. Apps included the burrata (very creamy, nice), Brussels sprouts (excellently cooked and seasoned), Pork belly, and shrimp a la plancha-perfectly cooked also. Shrimp had little to no green mango, which was one of the main reasons we ordered it, and there were three shrimp. I can see two or four, but how frequently do 3 people go to dinner? If 3 fits the price model I would suggest the waiters offer a fourth for $4 more since apps are served by the servers to share. If you offer the upsell I think tables of four would buy it. Main courses of halibut, steak frites and the wagyu burger did not arrive until 10pm. They were very good but we were so hungry from waiting. Tables of 6 and of 4 next to us got drinks, apps, meals, and dessert in the time we got our appetizer and those tables sat within moments of ours. The table of 6 sent back two different dishes and had dessert before our entrees arrived. Other than service which may have been kitchen related food and drinks were very good. I want to mention how great the halibut was! It was spicy but not overbearing, and so tender! Definitely order again if we return. One last service note: they brought us an extra burrata about 10 minutes after we finished our apps and she dropped it and ran before we could say we had already gotten ours. We had to chase her down to let her know it was probably someone else’s. You must do something to address the noise level. It's hard to have a conversation. By the end of the meal, I had almost lost my voice! Nice place and good food but if I have to shout to have a conversation I'm not coming back. 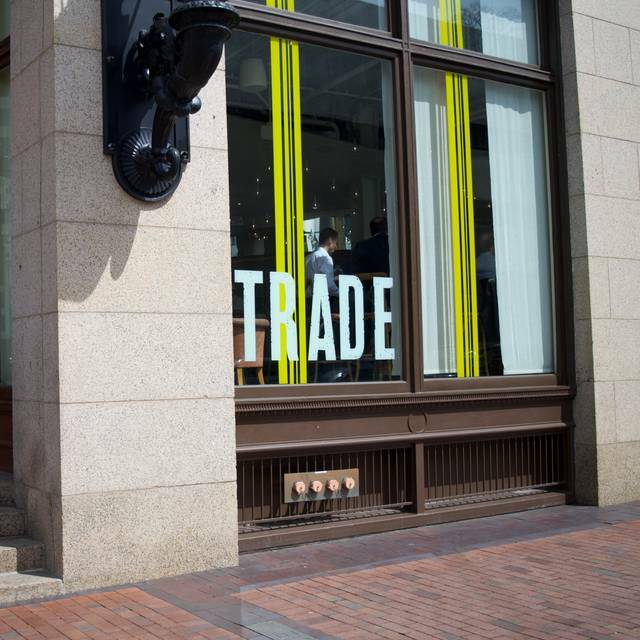 Trade is absolutely one of my favorite places to eat when I come to Boston. The quality and flavor of the meals here are fantastic and the portions are perfect. 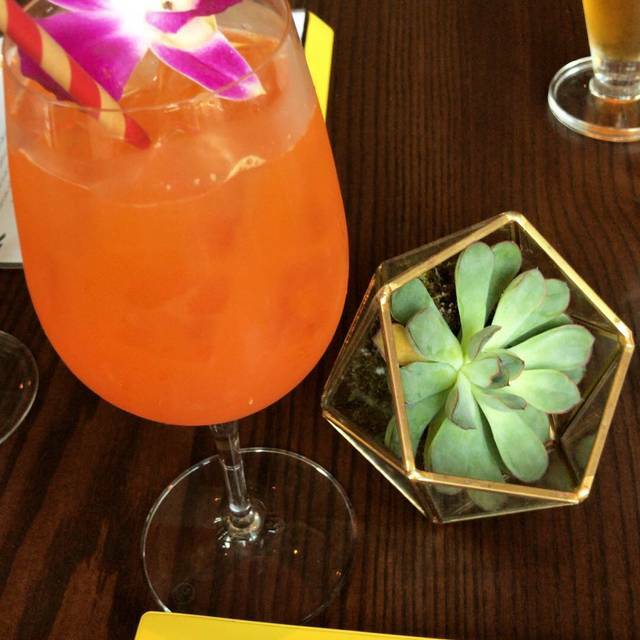 Always excellent service and atmosphere with creative cocktails to pair with any meal. I highly recommend Trade to anyone looking for creative plates with amazing flavors. 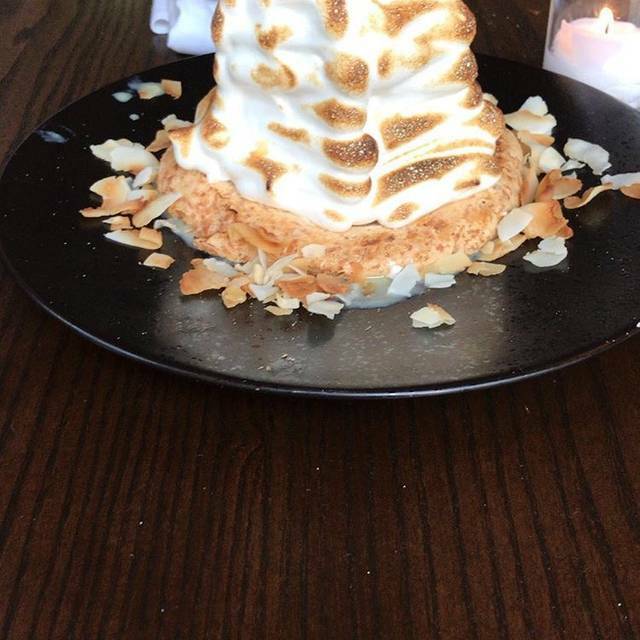 Save room for dessert. Reservations are recommended. Great spot - well designed interiors. Food, drink, and service all very good! We went to Trade for a Bachelorette party dinner and everything was amazing! The hospitality was fantastic, the food was delicious and the ambiance was perfect. We'll all be back to Trade for sure! Great food, good service, lovely and inviting ambiance. Diverse and interesting menu and food itself was excellent. Service was indifferent and so so slow with little attention. Poured our own wine because server was so inattentive. Noise level is suited for a bar but not for dinner with family. My advise is to limit Trade to a lunch-only place and find a better place that is more committed to a better dinner dining experience. Good place for a business lunch, and have also been there with my wife for dinner, which we enjoyed, as well. Trade is great for a business lunch. Requested and received a quiet table for a business meeting. 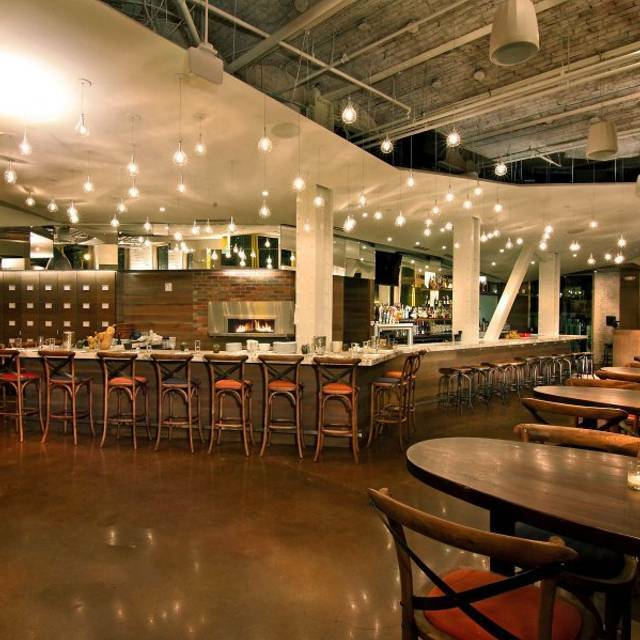 Open Table listing should reflect that it's in Fort Point Channel (like its next door neighbor, Nebo), not the Seaport. Menu is somewhat limited, but we enjoyed what we had, and service was good. Became loud as it filled up. Tables along the very large windows are cold - the couple next to us asked to be moved. Fun and lively atmosphere. Tried the Freekeh...delicious! The service was friendly, and our waitperson recommended an excellent wine. Everything was perfect! Lovely table, perfect service and a selection of delicious food. Can’t ask for a better night out. Love the food and service was excellent. WAY too loud. Please add some noise absorbers to the ceiling. Great as usual, I truly love this place! Interesting menu and interesting atmosphere. My first time there. I'll likely go back when I'm in Boston again. Everything. Was. Amazing. We were there to celebrate a friend’s recent engagement on a Saturday night and could not have picked a better location. The bar and dining room atmosphere were both so lively and fun, the service was amazing (especially because we took forever to order and our server, Darren, was so patient and lovely). The management team was great - checked in with us multiple times to ensure we were enjoying everything. My friends loved it and can’t wait to return! Awesome food, and very accommodating for a difficult dietary restriction (vegan, allergic to nightshades). The staff was attentive but not overwhelming, and worked with us to find appropriate plates that fit our dietary needs. 3 guests, 3 Fried Chicken sandwiches. Sandwiches looked cookbook picture ready. They just need a flavor level and juiceyness to equal the appearance. Service was extremely slow. 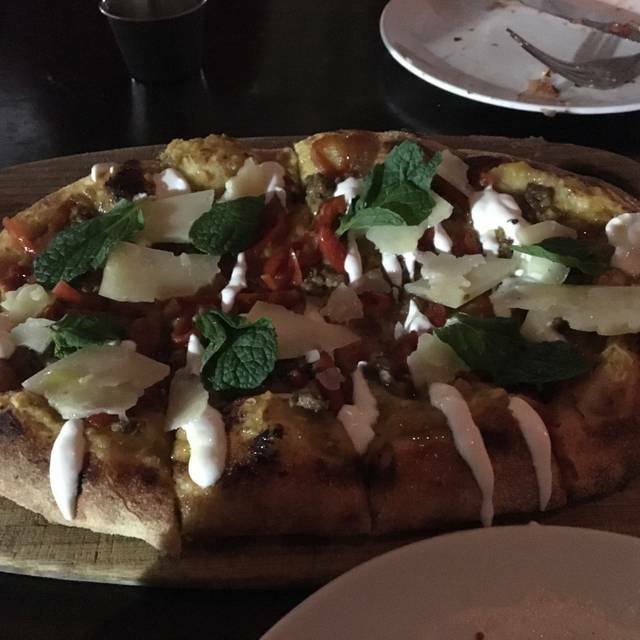 It turned out that our flatbreads were given to another table. Great restaurant with interesting choices, great ambiance and great service! The Brussels sprouts were amazing. But my steak was very undercooked and I had to send it back (hate doing that). They fixed it but it was not very good. Was just a little disappointed in that. Food was spectacular quality. It is a great place for sharing. Some portions were very small for the money however food quality made it worthwhile. Food wasn’t good and all of it was cold. Wouldn’t recommend the spanakopita cigars, miso eggplant, burrata, or fig and mushroom flatbread. The service was also quite strange. We were given the specials menu and tried ordering from it but then were told that they didn’t have items listed on that menu. When we asked for other starter recommendations and the server kept recommending entrees. It was so strange. 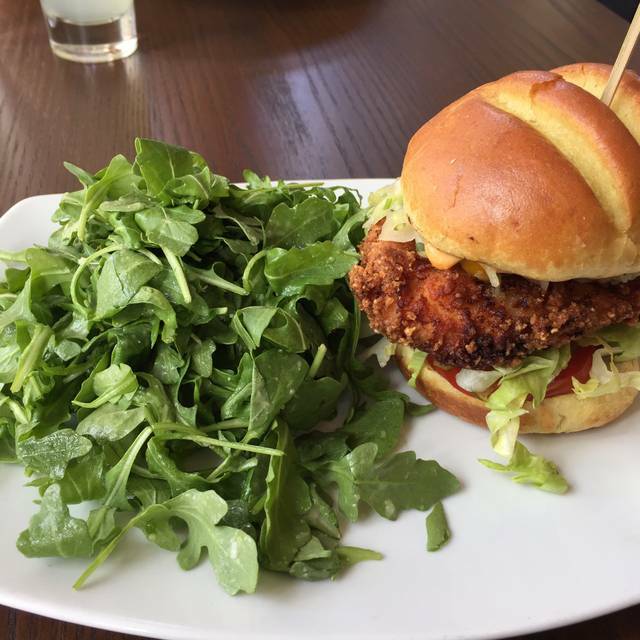 This was our first visit and we would highly recommend. 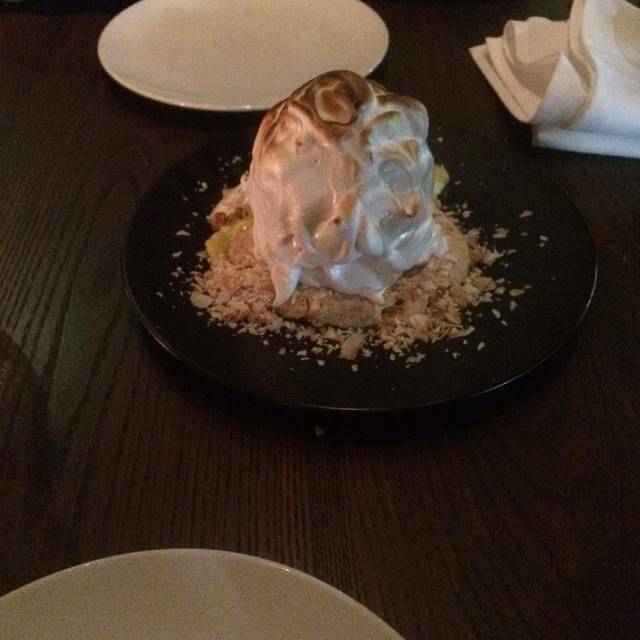 We had the halibut, lamb ragu, eggplant, shrimp and the baked Alaska plus ginger ice cream with brownie. All delicious. We asked for a quiet table and they put us in a lovely side room. Perfect!